A cwtch (pronounced cootch), is Welsh for hug or cuddle. Go cwtch, it’s good for you. 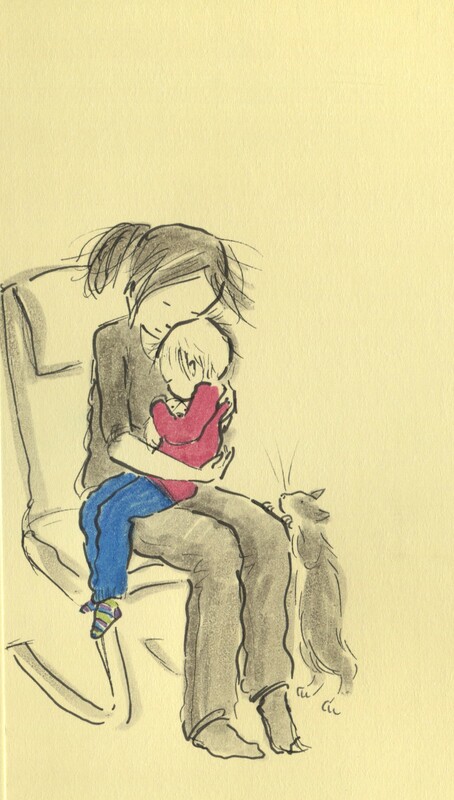 Posted on May 21, 2013, in Uncategorized and tagged Children, cwtch, Doodlemum, Drawing, Family, Hugs, Illustration, Sketchbook, Welsh. Bookmark the permalink. 27 Comments. I loves a cwtch, I do. Can I have a cwtch? Reblogged this on Blog Puzzler. Did Arnie get a cwtch too? I hope so!! Lot of this in my house lately. Sick kids need it as much as medicine. I lived in Wales for 3 years 10 years ago and still use this term so regularly that my 2 year old still asks for a cwtch all the time ! It’s the best word ever ! I lived in Wales 10 years ago and still use this term so much that my 2 year old regularly looks for a cwtch . It’s the best word ever ! It is a lovely word that can never be overused! That is soooo sweet. I could do with a good cwtch myself. Thanks, that cheered me up! I love a little cwtch I do. Especially with the smallies. What a great word! in English and Welsh! I’m adding this one to my collection! Thanks for the cwtch! I get it now 🙂 have just never seen it written down! Dear Angie, I love all your drawings, but this must be one of your very, very best. Have you thought of doing it for a Mother’s Day/ New Baby card, or something similar? It is so very tender, and so very special, the love you have for each other just radiates through my screen!